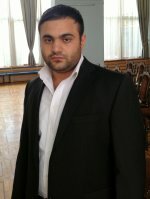 Arman commenced his vocal studies at the Special Vocal-Choir School of Yerevan and went on to study at the Komitas State Conservatory in Yerevan, receiving his Master’s degree in 2010. His vocal career began early and he received a number of awards in such international vocal competitions as the Golden Ship in Sochi, Russia, and the Stars of Issyk Kul in Kirgizstan. He has participated in several notable concerts, including the anniversary of concert of Zara Dolukhanova at the P. Tchaikovsky Moscow State Conservatory and the anniversary concert of Elena Obraztsova at the Saint Petersburg Philharmonic. He performed in Kaunas with the Lithuanian National Symphony Orchestra and was accompanied by the Armenian National Chamber Orchestra in a concert dedicated to the 100th anniversary of Aram Khachaturyan. Arman has participated in international competitions in Russia, Greece, Great Britain, France, Georgia and United Arab Emirates. He received a special mention from the jury of the International Pavel Lisitsian Baritone Competition at the Moscow Bolshoi Theatre in 2013 and successfully participated in the Montserrat Caballé International Singing Competition in Saragossa, Spain, as well as in the International Ottavio Zino Competition in Rome. As a student he began cooperating with the Armenian National Academic Theatre of Opera and Ballet, singing the roles of Alfredo in Verdi’s La Traviata, Radamès in Verdi’s Aida, as well as the role of Young Gipsy in Rakhmaninov’s Aleko.